The Hershey Bears announced today that Spencer Carbery has been named the 26th head coach in franchise history. The announcement was made by Hershey Bears vice president of hockey operations Bryan Helmer and Washington Capitals senior vice president and general manager Brian MacLellan. Carbery will be introduced to media at a press conference held in the Bud Light Champions Club at Giant Center tomorrow, Wednesday, June 27 at Noon. Further information will be emailed to media. The press conference will be carried via Facebook Live on the Hershey Bears Facebook page. “Today is an exciting day for the Hershey Bears organization as we welcome Spencer Carbery as our new head coach," said Helmer. "Throughout this process, Spencer's passion, character and work ethic stood out–and his desire to win is without equal. His familiarity with the Hershey and Washington organizations will help make this a smooth transition, and we feel he is the perfect fit to lead this storied franchise to even greater success,” continued Helmer. 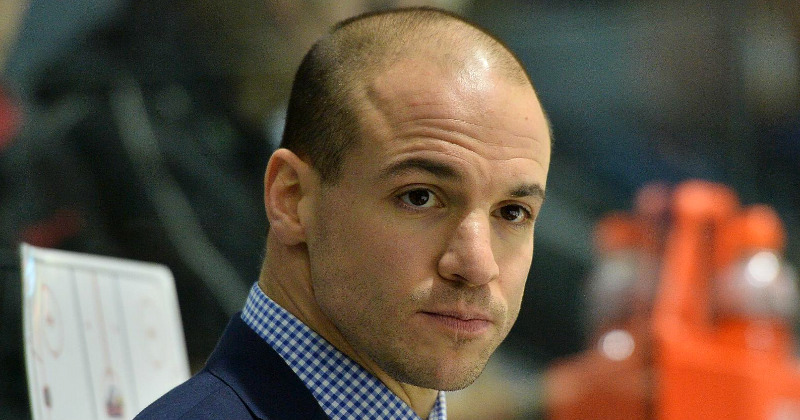 Carbery, 36, brings experience coaching both at the junior and professional levels to Hershey. He most recently spent the 2017-18 season as an assistant coach with the American Hockey League's Providence Bruins, helping the club to an impressive 45-26-3-2 record. Carbery also has past head coaching experience in the ECHL and the Ontario Hockey League. The native of Victoria, British Columbia has ties to the Chocolate and White, serving as the head coach and director of hockey operations for Hershey's ECHL affiliate, the South Carolina Stingrays, from 2011-2016. In his five seasons at the helm, Carbery compiled a 207-115-38 record with the Stingrays, making him the all-time winningest coach in South Carolina history. Carbery was the winner of the John Brophy Award as the ECHL’s Coach of the Year in 2014, and was the runner-up for the award in 2015 and 2016. South Carolina qualified for the Kelly Cup Playoffs in each of Carbery’s five seasons as head coach, and he helped guide the Stingrays to a pair of division titles, and Eastern Conference Finals appearances in 2015 and 2016. Carbery’s 2014-15 team registered an ECHL-record 23-game win streak during the regular season and advanced to the 2015 Kelly Cup Finals, falling in seven games to the Allen Americans. In each of the five seasons under Carbery’s direction, the Stingrays improved their point total. “We are pleased to name Spencer as our new head coach for the Hershey Bears,” said MacLellan. “Spencer is a great communicator, has an excellent track record for developing young players and we are confident that he will do a great job with our group in Hershey." Carbery's ties to Hershey and Washington also include coaching multiple players who advanced in the organization, including three members of the 2018 Stanley Cup Champion Washington Capitals: Pheonix Copley, Philipp Grubauer, and Nathan Walker, as well as several members of Hershey's 2017-18 roster including: Tyler Lewington, Dylan Margonari, Garrett Mitchell, Wayne Simpson, Vitek Vanecek, and Kelly Zajac. Carbery served as the head coach of the OHL's Saginaw Spirit in 2016-17, and also earned a nod as an assistant coach for Team Canada Black in the 2017 U-17 World Hockey Challenge, working with fellow assistant coach and former Hershey enforcer Louis Robitaille. A forward, Carbery had a four-year professional playing career in the Central Hockey League and the ECHL before joining the coaching ranks. The graduate of St. Norbert College served as an alternate captain for South Carolina during his tenure with the club, and helped the Stingrays to a Kelly Cup title in 2009. Following the conclusion of his playing career, Carbery spent one season as an assistant coach with the Stingrays under former Bear Cail MacLean before being promoted to head coach in 2011. Carbery becomes the second-youngest current head coach in the AHL behind only Jeremy Colliton (Rockford). Carbery and his wife Casey, as well as their two children, Hudson and Vivian, will relocate to Hershey later this summer.